Japan is emerging as one of the world’s burgeoning self-storage markets, with facilities being developed and a Rental Storage Association (RSA) that represents the interest’s of the country’s self-storage owners and operators. The RSA officially registered with the Japanese government on Oct. 28, 2010. According to the RSA website, it is the only self-storage association endorsed by Japan’s Ministry of Land, Infrastructure, Transport and Tourism. The (RSA) held its annual membership meeting in Tokyo in June. It was attended by 26 members and more than a dozen guests and media reporters. The meeting opened with greetings from RSA Chairman Michinobu Tada, followed by comments from guest speaker Junichi Imamoto from the Ministry. In addition, Yano Research Institute Ltd., the largest market-research company in Japan, presented a study of the local self-storage industry. This year the RSA entered a contractual partnership with Inside Self-Storage (ISS), a U.S. provider of industry resources and education. The partnership includes collaboration on ISS magazine and the annual Inside Self-Storage World Expo, held each spring in Las Vegas. RSA Managing Director Tatsuya Saji and other association representatives will attend the 2013 conference, April 3-5, at the Paris Hotel & Resort. The event will also feature an education session discussing the nature of self-storage in Japan, which will be delivered in Japanese and translated into English. The Japanese self-storage industry is still in it’s infancy and relatively new to general consumers and financial institutions. But the business is growing slowly and steadily, especially in large cities such as Tokyo and Osaka. Japanese operators face many of the challenges U.S. operators once experienced, one of the biggest being lack of public awareness of the service. The Japanese call self-storage units “trunkrooms,” ”suitcase rooms” or “shunou box (storage boxes),”as the units are much smaller than their U.S. counterparts, according to Saji. People know what they are but not how to effectively use them. Japanese operators also face legal challenges. Many use rental agreements based on the 1991 “Act on Land and Building Lease,” which was made to better protect tenants, Saji wrote in a 2011 article for ISS. It’s not an uncommon practice to hold off on resolving delinquencies. Instead, operators will move a unit’s contents or hold them for long periods to avoid a legal entanglement. In addition, rental agreements vary widely among operators. The RSA is working to standardizing these agreements to protect operators. A lack of awareness is also a problem for operators when it comes to financing and marketing. It’s hard for new investors to enter the business because most financial institutions don’t recognize or have enough knowledge of self-storage. Major banks in Tokyo might consider financing a project, but interest rates would be higher than those of other real estate projects. Lenders or investors require high-rated credits and security for new facilities. In addition, there are still many self-storage facilities built using portable freight containers as storage units. These are often lucrative because they require less investment. While they’re less expensive to rent, they don’t offer the security features of traditional self-storage; however, many cost-conscious consumers can’t differentiate between the two products. Japanese operators would like to see stricter zoning ordinances to control locations where facilities with freight containers are built and operated. In comparison to other global self-storage markets, Japan’s is significant when measured by revenue but young and undeveloped based on market saturation, according to Stephen Spohn, president of Quraz, Japan’s largest owner and operator of self-storage. For the last decade, supply has been growing, and it continues to grow by approximately 10 percent per year, based on a 2010 Quraz survey. Growth has generally been fueled by an improvement in storage facilities and an increased awareness of the product. Between the third quarter of 2008 and the third quarter of 2010, unit supply grew 19 percent. The top five competitors-Quraz, Arealink(dba Hello Storage), Reise Box, Kase and Terrada-represent 60 percent of the market. 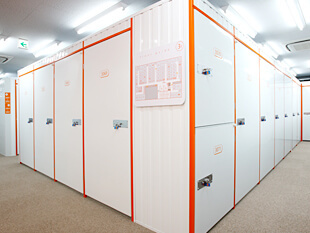 There are three different business models for operating self-storage in Japan. Quraz generally pursues a conversion model in which it buys under used or misplaced office properties and converts them to self-storage, according to Spohn. Arealink generally leases single or multiple floors in office buildings, installs storage units, and sublets the space. This leasing model is the predominant one used for self-storage in Japan, due in part to the relatively high price and low availability of urban real estate. In the Reise model, a landowner contracts with the company to install a two-floor facility, and Reise manages the asset on his behalf. Approximately 25 percent of Japanese self-storage is owned by the operator; 50 percent is leased by the operator; and 25 percent is managed by the operator.